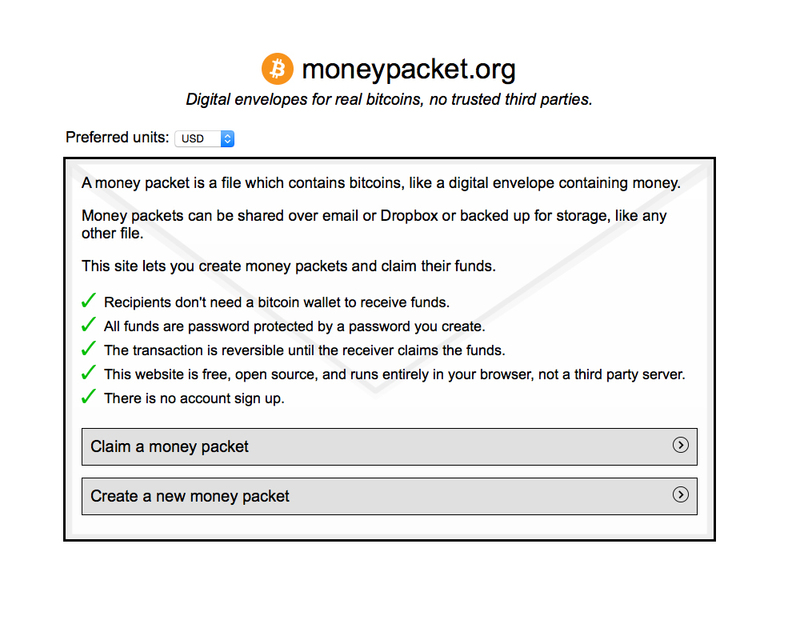 A new open source project called Moneypacket.org allows you send Bitcoin through email. Released to the public on June 12, founder Eric Woods a developer for IBM Watson, posted his project to reddit answering questions AMA style throughout the thread. Most redditors were quite pleased with the project giving it a 92% approval rating. -Warning featuresBitcoin.com spoke with developer Eric Woods to get a little insight on his project. Woods got into the Bitcoin space in 2013 and had his “a-ha” moment when he started researching it intensely. Bitcoin.com: When did you come up with the idea to develop a platform which sends BTC by mail? Eric Woods: A few months ago. I think people understand files and word documents and email attachments, but bitcoin wallets and QR codes remain elusive. So it seemed like something was missing. I wanted a file on my desktop to contain bitcoins in the same way that a word document contains text. So I put together a minimum working prototype, which worked better than I expected. Then I built the actual website. I put untold time, energy, and lack of sleep into it. When it finally launched, I showed it to my family and it completely failed the “mom usability test”. So I threw it all away and started over on version 0.2, which is the site’s current iteration. BC: How many people work with you on this project? EW: Just me so far. I’m open to collaborate with creative people, wherever that may go. BC: How does Money Packets work? EW: The website generates a bitcoin private key using bitcore, encrypts it with the user’s password using SJCL or BIP38, and saves the encrypted output to a downloadable file format called a “money packet”. In essence, a money packet is just an encrypted private key which the website knows how to import and export. Funds can be claimed by importing the money packet, entering the password to decrypt the private key, and forwarding the funds to a bitcoin address or a new money packet. The important thing is moneypacket.org is 100% open source and browser-side. That means the entire site runs locally in your browser, so there’s no account sign up or trusted third party holding your funds. That’s the key difference from other services in this space, where you have an account and trust them with your money. BC: Do you think that more services like this will appear in the near future? EW: Yes, in fact I’ve already seen posts about other client-side web wallets in development. I think the concept resonated with the community because it’s a good way to build web-based services while honoring the trustless nature of digital currency. I welcome these services to come. They’ll strengthen the overall ecosystem, which in turn gives bitcoin value, so we all win. BC: Do you think your service benefits adoption? EW: I think adoption will continue naturally, and I see no need to rush it. It just takes time, time for technical progress, and time for people to become more familiar with these concepts. I think we’ll eventually reach a tipping point where the value and usability of digital currency speaks for itself and it becomes the new norm. I hope moneypacket.org helps in the adoption process, especially because people can receive their first bitcoins in an email without doing anything (no wallet set up, etc). Long term, I suspect people will become comfortable with wallets and addresses. BC: What happens when you send the email with attached BTC and it goes unclaimed or unopened? EW: It can be thought of like handing off a baton. During the hand off, both the sender and receiver have access to the same pool of funds. If the receiver never collects the funds, the receiver may take them back at any time, or the funds could sit there as a joint account. BC:Is there a minimum or maximum limit to bitcoin sent by your service?EW: There is technically a lower limit to prevent the transfer of “dust”, but I’ve sent as little as $0.002 (1/5th of a cent) from a money packet. Consider the network transaction fee is ~$0.03. There is no upper limit, but I recommend using the service for small amounts only. It’s still alpha software under active development, and there may be security holes I don’t know about. For large transactions, direct transfer between wallets will always be more secure. BC: Do you have to comply with any regulatory policy? EW: Being 100% client-side, I never touch user funds. That bypasses most regulatory policy. BC: What can we expect from the future of your service? EW: Mobile is very important (I recommend using a desktop today). I’d like to support HD key generation so keys are never re-used. I want to improve the import process so users can add arbitrary notes to their money packets. That along with other tweaks in functionality, usability, and security (like GPG integration) and I have an immediate path forward! 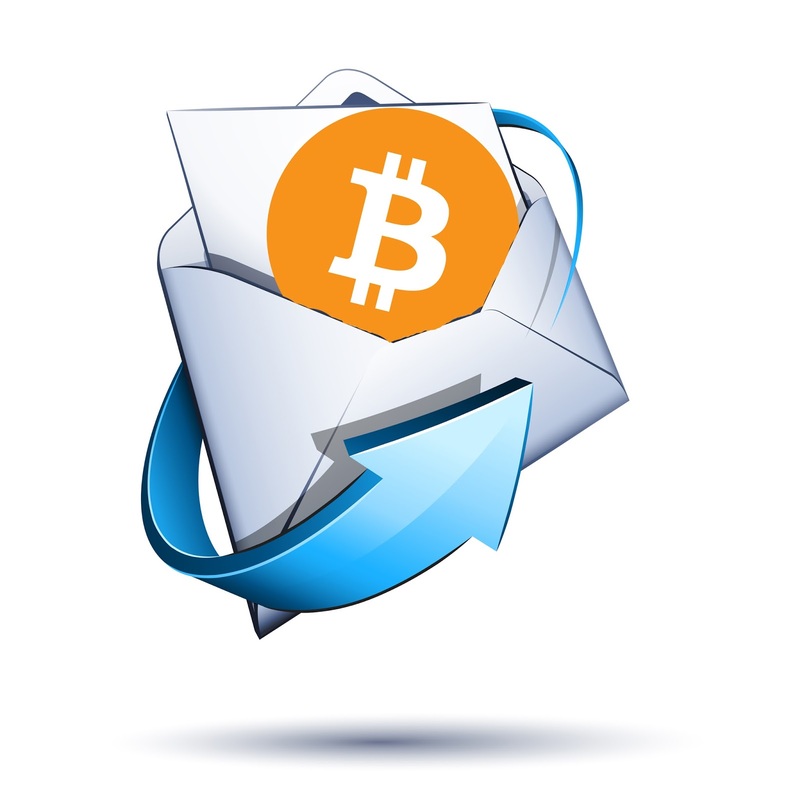 Do You Think Sending Bitcoin By Email Helps Adoption? Let us know in the comments below.